Insurance brokers are advising customers to stay away from new policies with companies regulated in UK territories such as Gibraltar because of concerns over Brexit. Customers are being warned of a risk to their policies and that they could be left without insurance if the UK crashes out of the EU without a trade deal. Brokers said they are in the dark about what standing firms regulated in the UK and Gibraltar will have post-Brexit. Last week a broker told the Sunday Independent it is advising its customers not to take up car insurance with Gibraltar-regulated companies. The broker said it could not guarantee these insurers would continue to be regulated here once Britain leaves the EU. It said that if an issue arose about how insurance companies regulated abroad are to be recognised here post-Brexit, customers would be at risk of having their insurance declared null and void. This would result in premiums being lost and customers left scrambling for new insurance cover. 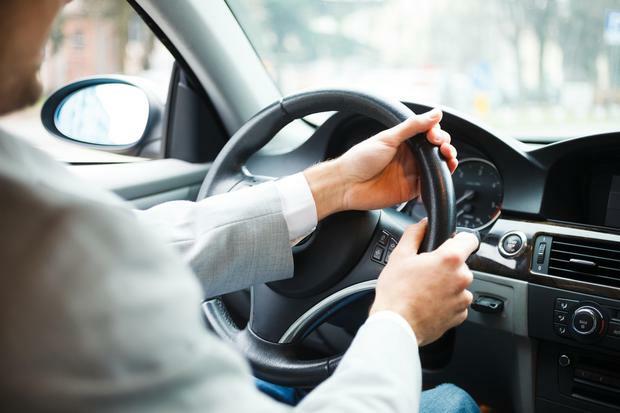 An example was given of a customer taking out a new year-long motor insurance policy now with a company regulated in Gibraltar and paying for it up front. “You could be left without insurance from March 29 if Britain leaves the EU without a deal on Brexit,” said the broker. “It is too risky, so we are making our customers aware of this risk and advising them to consider an alternative. Gibraltar is a hub for many financial services companies, insurers and bookmakers because of tax incentives offered to international businesses. Many of these companies underwrite insurers in the Irish market and are regulated in the British overseas territory at the mouth of the Mediterranean. The Central Bank of Ireland, which regulates the insurance industry here, has conceded Brexit poses issues for insurance companies and customers. Brokers Ireland, the representative body for 1,200 insurance brokers, said its members advise customers of risks associated with policies and the options available to minimise exposure to these. “Like so many areas impacted by the upheaval and uncertainty of Brexit, in the event of a no-deal, Brokers Ireland would advise consumers to keep in touch with their broker in this rapidly changing and unprecedented situation,” a spokeswoman told the Sunday Independent. A spokeswoman for the Central Bank of Ireland said a primary concern from “a regulatory and supervisory perspective” is to ensure regulated firms operating here with “direct or indirect exposures to the UK economy” plan for the negative impacts of Brexit. Last month, Central Bank deputy governor Ed Sibley said it was working with the Department of Finance to support the drafting of legislation to protect insurance customers. The Dail will vote on a Government ‘mega bill’ if a no-deal becomes likely. It is expected to contain 17 sections to legislate for changes across a variety of sectors including energy and transport. “The draft legislation provides for a temporary run-off regime, which will allow certain UK/Gibraltar insurers and brokers to continue to service existing insurance contracts with Irish policyholders in the event of a ‘no-deal’ Brexit,” Mr Sibley said. He warned that niche products, such as pet insurance or protection for gadgets and mobile phones, were more likely to be impacted by a post-Brexit regulatory friction between the EU, UK and Gibraltar. However, some brokers are responding by warning customers away from the risk of having their policies wiped out by a change to how the EU will look upon regulatory bodies in the UK after March 29. Next articleHandle with care: can foreign investment solve our growing nursing home shortage?